The RCMP have arrested 14 people and entered a fortified checkpoint on a forest service road in northern B.C. 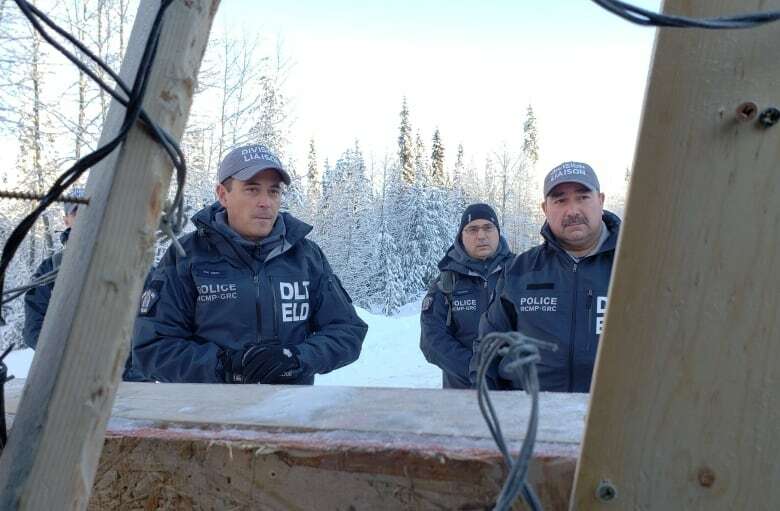 where people at the Gidimt'en camp were barring access to a pipeline company. 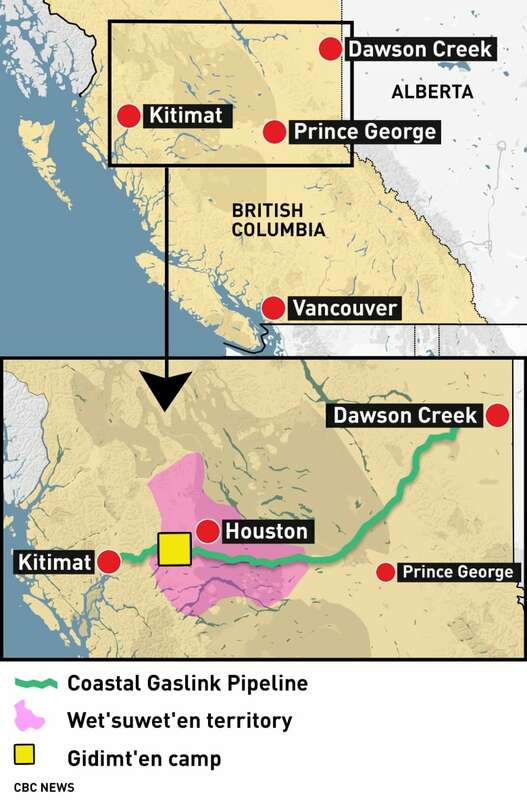 Members of the Wet'suwet'en Nation have been preventing company workers from getting through their checkpoints, asserting they can only pass if they have consent from hereditary leaders. RCMP said in a statement that just before 11 a.m. PT Monday, officers from the Division Liaison Team spoke with representatives of the Gidimt'en camp about the removal of the roadblock, and facilitated a meeting between hereditary chiefs "in the hopes that this could be resolved without police involvement."